The prestige attached to Burgundian courtly culture and the painter Jan van Eyck explain why in 1431 King Alfons the Magnanimous sent his official painter, the Valencian Lluís Dalmau, to Flanders, to learn the new realist language at first hand. 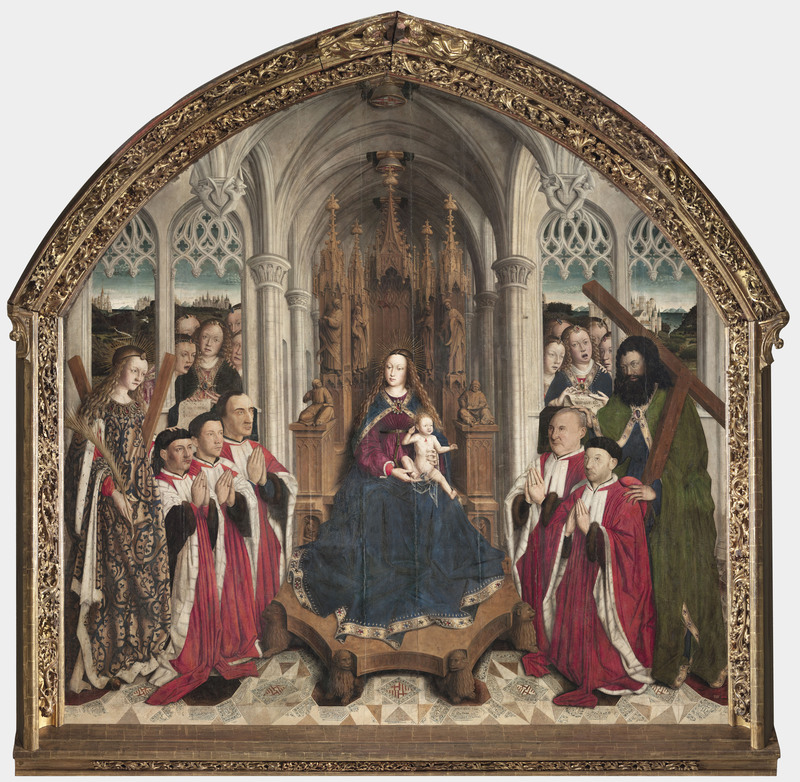 In 1443, Dalmau was commissioned to paint this altarpiece for the chapel of the City Hall. 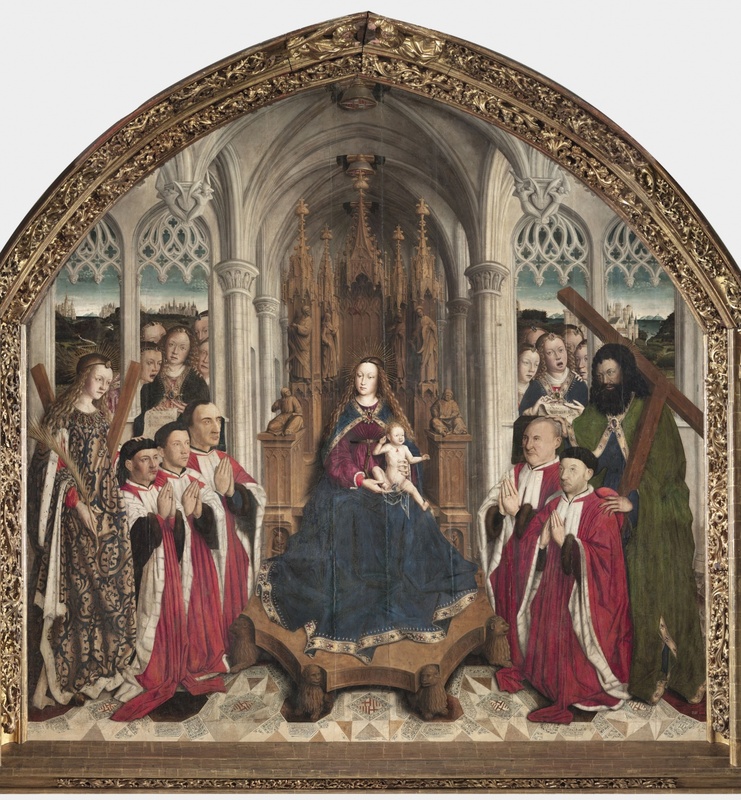 This work was a breakthrough in Catalonia on account of the format, the technique used, as it was painted in oil, and the skilful illusionism of a figurative space in which that year's five councillors, painted from life, are represented on the same scale as the Virgin and the Saints. From the altar of the chapel of Barcelona City Hall. Museu Nacional d'Art de Catalunya | Virgin of the "Consellers"